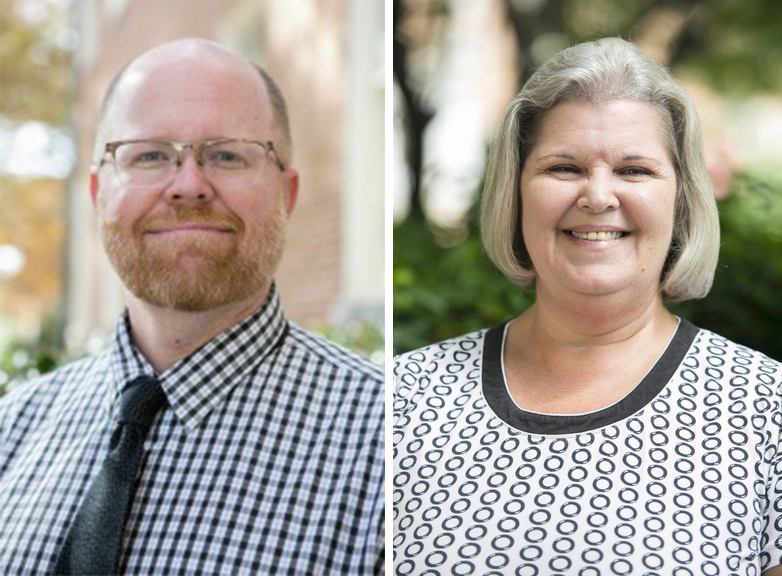 Two Samford employees have earned Southern Conference (SoCon) 2018 All-Conference Faculty and Staff Awards. Orlean Beeson School of Education professor Jonathan Davis received the faculty award. Howard College of Arts and Sciences Operations Manager Glenda Martin received the staff award. “Both are outstanding, and extremely deserving of this honor,” said Samford Provost Mike Hardin. The awards are part of the SoCon Academic exchange, a collaborative effort by the conference's chief academic officers to promote cooperation among the membership to benefit all students–-not just athletes. “It feels great to know that SoCon recognizes hard work both on and off the athletic field, and among everyone at the university,” Davis said of the honor. Martin said her association with Samford athletics began when her brother, John Howard “Monty” Montgomery, played for the university’s newly-revived football team in the 1980s. When Martin joined Samford’s staff, she found that faculty and staff have an important role to play in supporting athletes like her brother. Senior Associate Provost Tom Woolley said Davis and Martin “epitomize the qualities of demonstrated service to the institution and ongoing contributions to campus life that the Southern Conference wishes to recognize.” “Both bring out the best in those around them while continually creating conditions for success."